In light of World AIDS Day, and the huge fight that we take year after year, it is always nice to know even with the simplest tasks and luxuries can actually help in the contribution, and find more answers on the global issue with research funding, and especially to help end HIV/AIDS for good by making treatment more available globally. I know, as most of you as well know, that one of the biggest LUX behaviors of my life, that in all respect went from a luxury to a daily task, to now a full-blown addiction. At times my coffee run can be anywhere between three or four at a time. I admit in the back of my mind it tends to be a little excessive. However today I may in fact make a few more runs than usual. 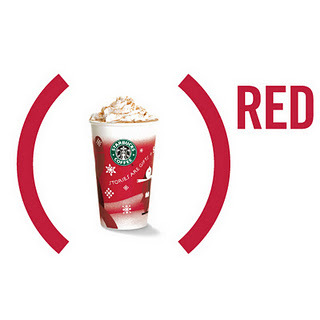 Today, for World AIDS Day, Starbucks in partnership with Product (RED), will be contributing five cents of any beverage in support of the Global Fund. So, if your like me, and enjoy inviting everyone for coffee, or take coffee to your work place, today is the day to do it and spend a little more. I know what everyone is thinking, 5 CENTS is hardly enough money to make any kind of impact, however when thinking about the average amount of times, not to mention the amount of orders we get at a time, we visit STARBUCKS, collectively it makes a major impact. As of 2008, the year Starbucks paired with Product(RED), the coffee Mecca of a brand as raised over $10 Million in support of the Global Fund, and that’s a mighty dent in an issue that affects us all. What better day to go out a grab yourself a coffee, or maybe If your like me four or five of them. Given that it is World AIDS Day, I may up my daily intake. And with every sip, just think of whom those five cents went to, even if it’s the only thing you do for the day, it will mean the world to those receiving it. HIV/AIDS today is a treatable illness that has gone through 30 years of ups and downs, and today we are seeing a major UP moment. HIV/AIDS affects us all, and we all are called to help, so lets keep these UP moment by giving back, even if its only buying a cup of Coffee, five cents means the world. However if you’re the “gift that keeps on giving type”, Check on the Product(RED) rechargeable GiftCard designed by Jonathan Adler. Every time the card is used/swiped a donation is also made, and recharge it to donate all year-long! See you for coffee, Caruth Haven/Greenville is my spot! 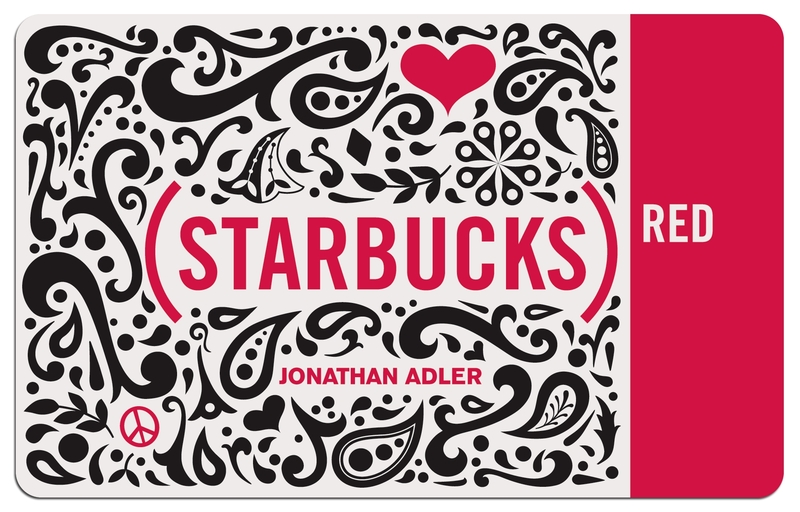 This entry was posted in | and tagged coffee, DFW, dfw starbucks, global fund, holiday shopping, jonathan adler, porduct(RED), STARBUCKS, world aids day. hiv/aids. Bookmark the permalink.